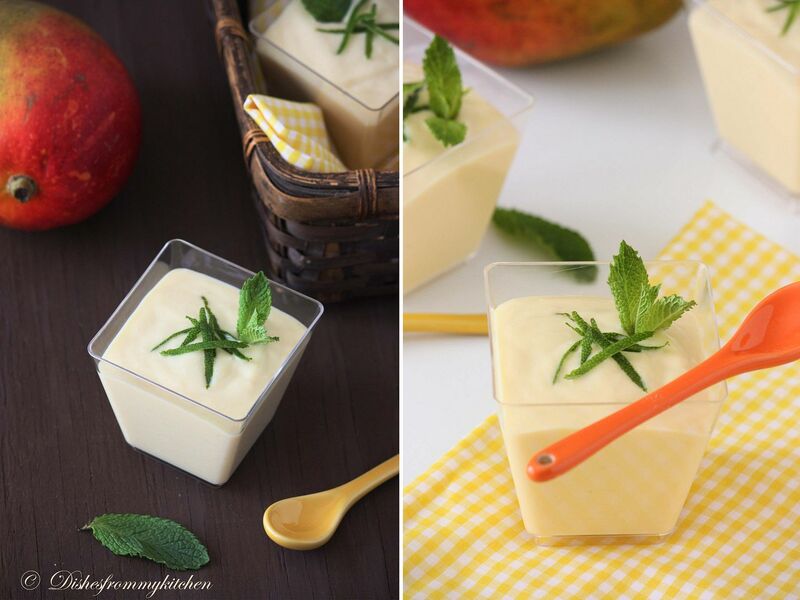 Dishesfrommykitchen: EGGLESS MANGO MOUSSE - VERY VERY HEALTHY !!! 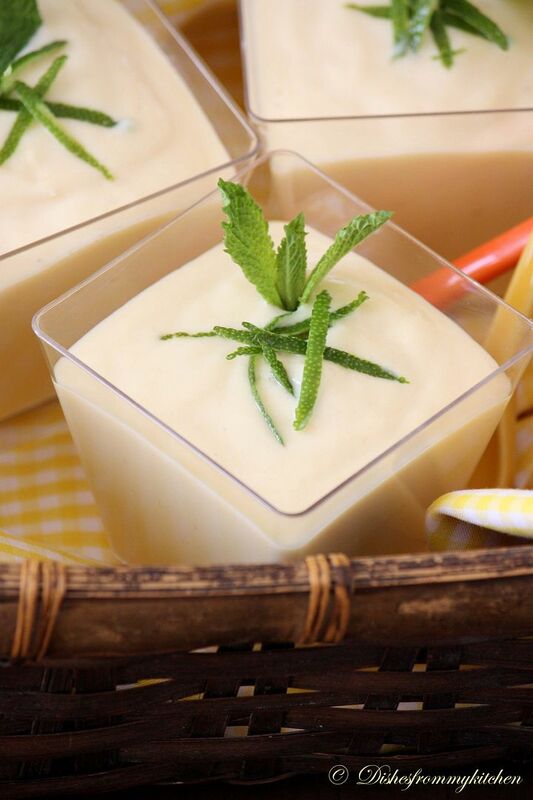 EGGLESS MANGO MOUSSE - VERY VERY HEALTHY !!! Hi all hope everyone is doing well. Here is quick, easy and healthy mousse that you can prepare in no time, this is so easy and I have made this 'n' number of times. This is absolutely egg less mousse, here egg is substituted with silken tofu. You will not believe you have tofu in it. For those who don't like tofu you got to try this. I am sure you will start loving tofu this way. You can also make this vegan just by substituting condensed milk with agave, honey or Maple syrup. I am not sure when and where I got this recipe but we love this a lot. 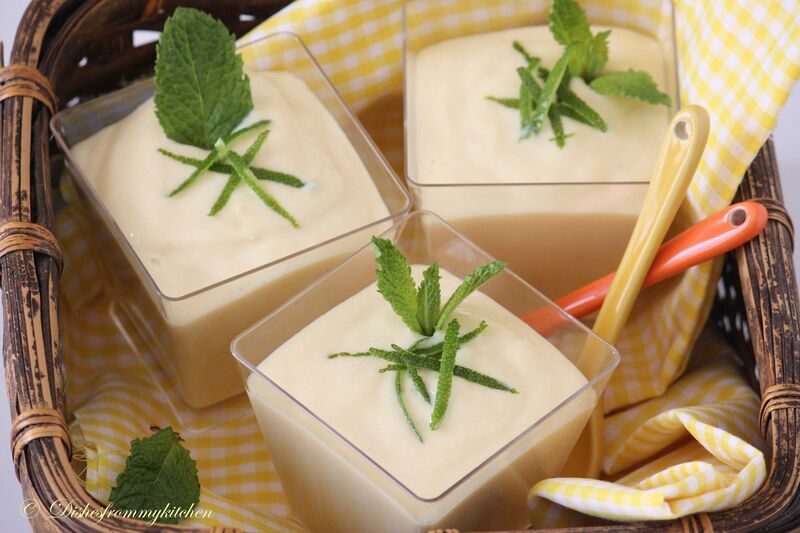 Just four ingredients whip it up and you are all set go with creamy and silky dessert. 1. If you are vegan just substitute condensed milk with agave, maple syrup or honey of your choice. 2. You can also substitute mango with banana, papaya or strawberry (my favorite) too. @ Krithi mango, coconut cream subsides the Tofu smell and if your using strawberry, maple syrup etc will also subside the smell. Try it. lovely dessert..love anything wid mango.;). 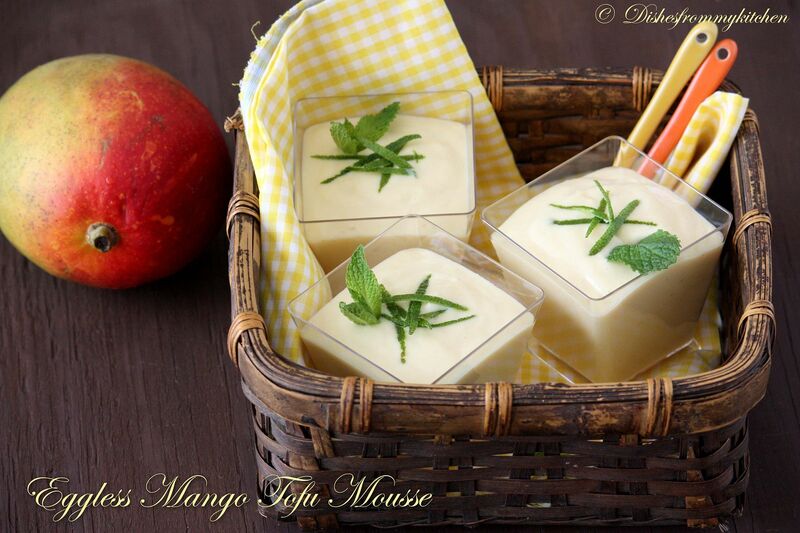 SUper delicious mousse, makes me drool..
OMG OMG love this mango mousse.. looks just amazing!!! Ooh so luscious n creamy! 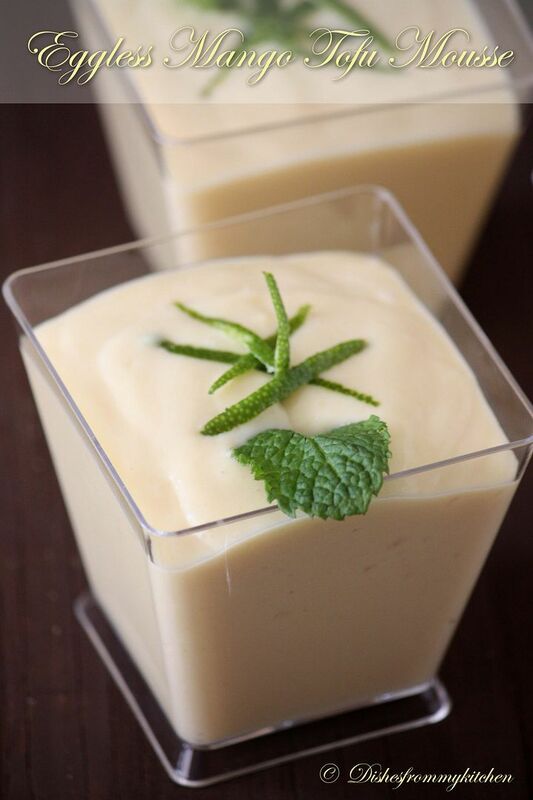 tempting mango mousse .. looks so yummy!!!!!!! Looks so tempting, two eyes are not enough to see and drool your pics pavi,very nice presentation! I love the simplicity of this. Pics are fab! 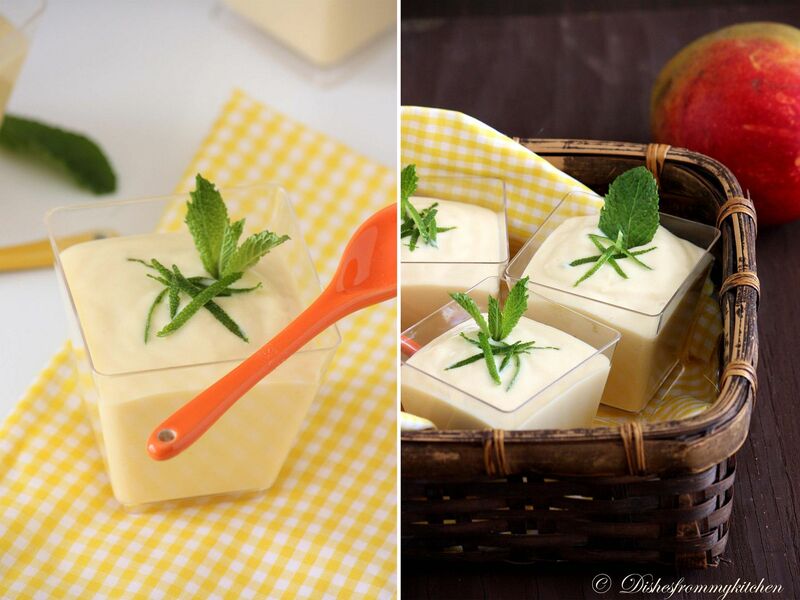 Tofu in mousse form is certainly lovely idea! Mousse looks amazing!! Awesome recipe!! 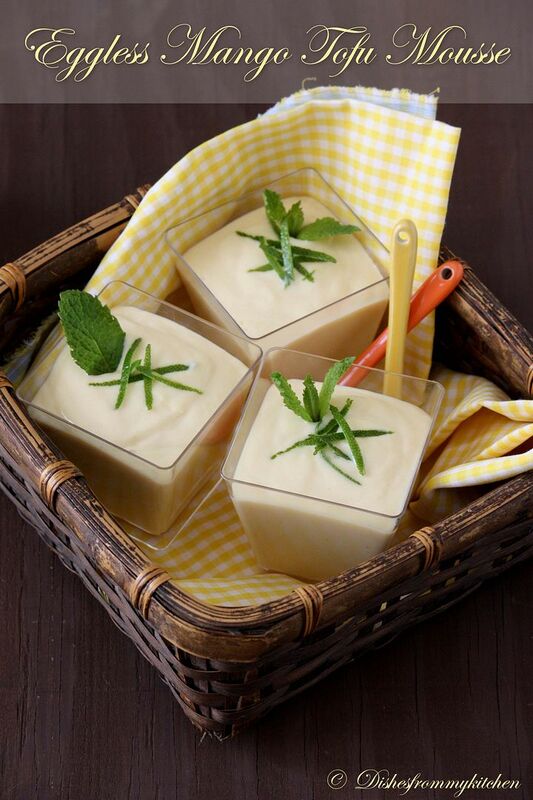 Amazing recipe and summery clicks... very neat presentation ! how to substitute the tofu in this recipe?